RANCHO CORDOVA, Calif. July 17, 2018 - Eyefinity, one of VSP Global’s five lines of business and the industry’s leading provider of optometric practice management and electronic health records solutions, announced today it has achieved full accreditation for the Healthcare Network Accreditation Program (HNAP) from the Electronic Healthcare Network Accreditation Commission (EHNAC). Data protection and security remain top of mind for Eyefinity when it comes to supporting doctors in the patient care journey. This accreditation shows the importance placed on protecting personal health information and in health data processing and transactions. EHNAC evaluated Eyefinity in areas of privacy measures, systems availability and security infrastructure. 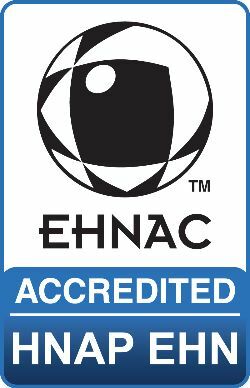 In addition, EHNAC reviewed the organization’s process of managing and transferring protected health information and determined that the organization meets or exceeds all EHNAC criteria and industry standards. To complete the rigorous accreditation process, the applicant must demonstrate to its constituent’s adherence to strict standards and participation in the comprehensive, objective evaluation of its business. Eyefinity’s HNAP accreditation is approved through 2020 and effective immediately. The Electronic Healthcare Network Accreditation Commission (EHNAC) is a voluntary, self-governing standards development organization (SDO) established to develop standard criteria and accredit organizations that electronically exchange healthcare data. These entities include accountable care organizations, electronic health networks, EPCS vendors, prescribing solution providers, financial services firms, health information exchanges, health information service providers, management service organizations, medical billers, outsourced service providers, payers, practice management system vendors, and third-party administrators. VSP Global® is a doctor-governed company that exists to create value for members and opportunities for VSP network doctors. Our industry leading businesses include VSP® Vision Care, the only national not-for-profit vision benefits company, which provides access to eye care for 88 million members through a network of 39,000 doctors worldwide; Marchon® Eyewear, Inc., one of the world’s largest designers, manufacturers and distributors of high-quality eyewear and sunwear; VSP Optics, industry leader in ophthalmic technology and lab services, providing custom lens solutions for the vision and lifestyle needs of patients; Eyefinity®, the industry leader in practice management and electronic health record software; and VSP Retail, which focuses on increasing access to eye care and eyewear through multiple channels. Together with VSP network doctors, VSP Global's Eyes of Hope® has provided access to no-cost eye care and eyewear for more than 1.8 million people in need.